Another month, another In Win case and yet another product that we immediately feel deserves an award seconds after we get it out the box. 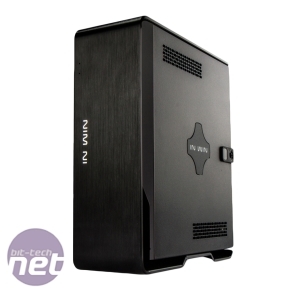 However, while the rest of In Win's recent line-up includes cases that offer homes to modest all the way up to extreme gaming systems, the Chopin is the company's effort at making a case for the mini-PC/home theatre PC enthusiast. 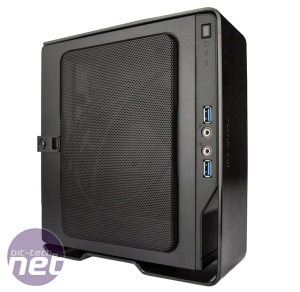 This is not least of all because it lacks any kind of expansion slot, so not only are discrete graphics cards a no-no here, but anything else - sound cards, TV cards - is too. That's not to say the Chopin is poor value, though. While it costs £70, the case is made using a U-shaped piece of 4mm brushed aluminium, which is attached to an internal steel chassis. 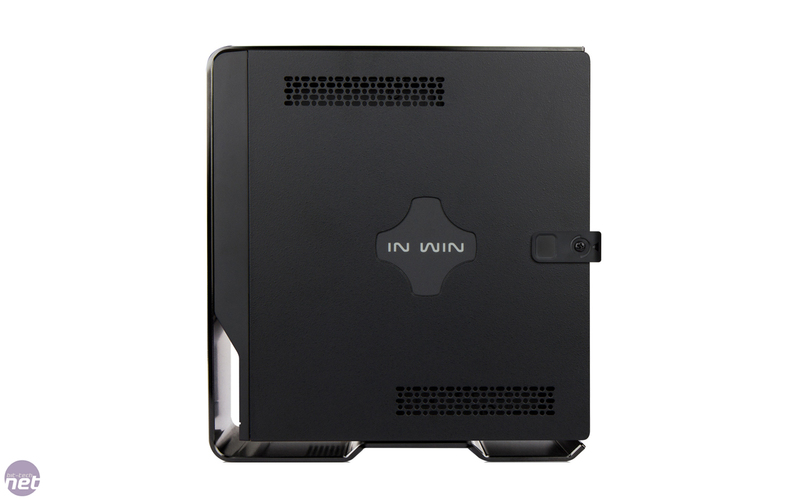 The case is available either with black or exposed silver aluminium and In Win also includes some funky self-adhesive coloured stickers you can apply to the front of the case to liven it up a bit, although it looks gorgeous anyway, much like In Win's 900-series cases. 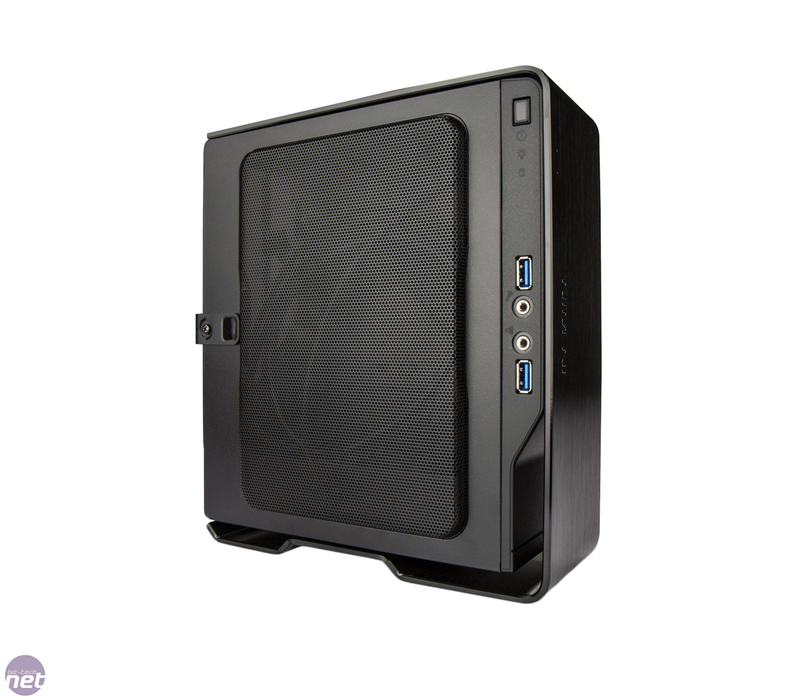 The lack of any expansion slots means that it's been possible to create a truly tiny case. 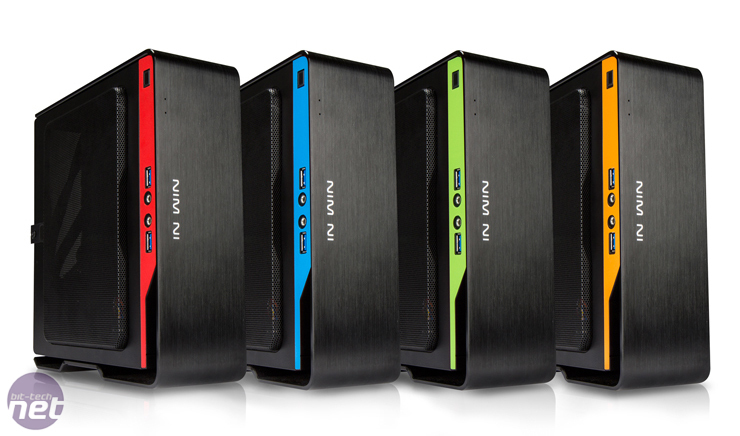 In fact, you could fit around three of them inside the already dinky Raijintek Metis. This has been possible thanks to a custom 150W 80 Plus Bronze-rated PSU, which sits in the base of the chassis on its side, next to the motherboard. Of course, everything here depends on how quiet the PSU is - a lot we've seen of this type, especially in Shuttle and other small PCs have been anything but pleasant to sit next to. 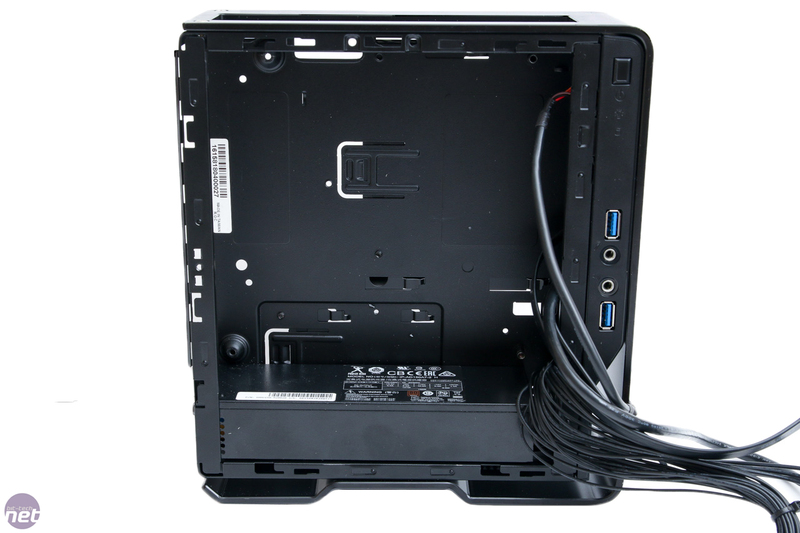 It has all the connectors you need to power the full complement of hardware you can fit into the case, including a 4/8-pin CPU connector and two SATA power connectors. 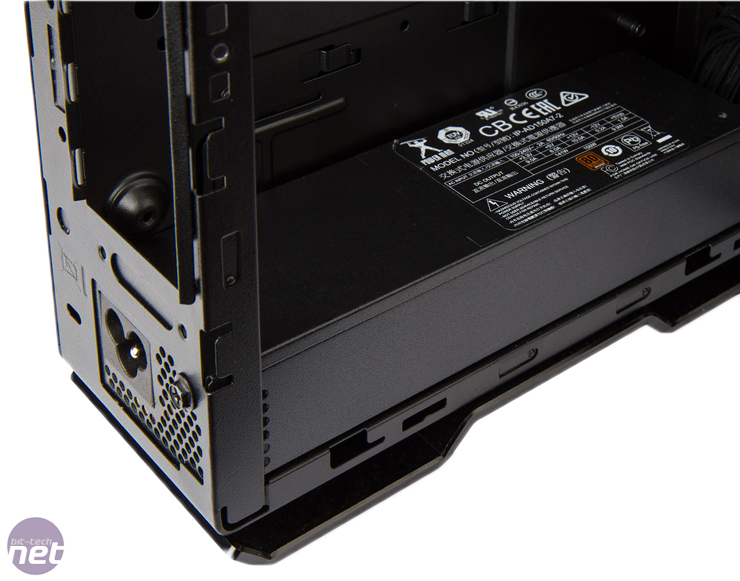 The 3.3V, +5V and +12V rails have a combined limit of 141W, so you should have no problems powering a top-end APU system or even a quad-core Intel system with a small overclock. 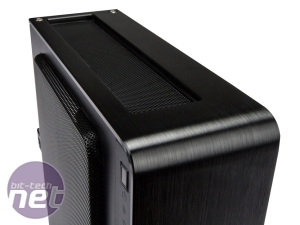 Both side panels are removable - one side revealing the two 2.5in bays while the other sports a large mesh section that sits directly above the CPU cooler. 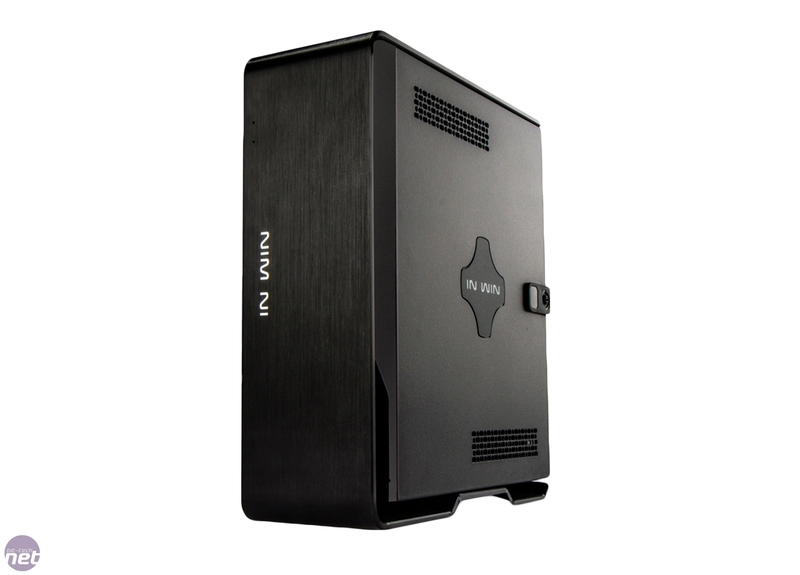 Height limits here stand at 43mm - just enough to house Noctua's excellent NH-L9a low-profile cooler that we use with our low profile case test kit (or NH-L9i for Intel systems). The mesh should also block the majority of dust that tries to enter here too, although it's not quite as good as a dedicated removable dust filter. 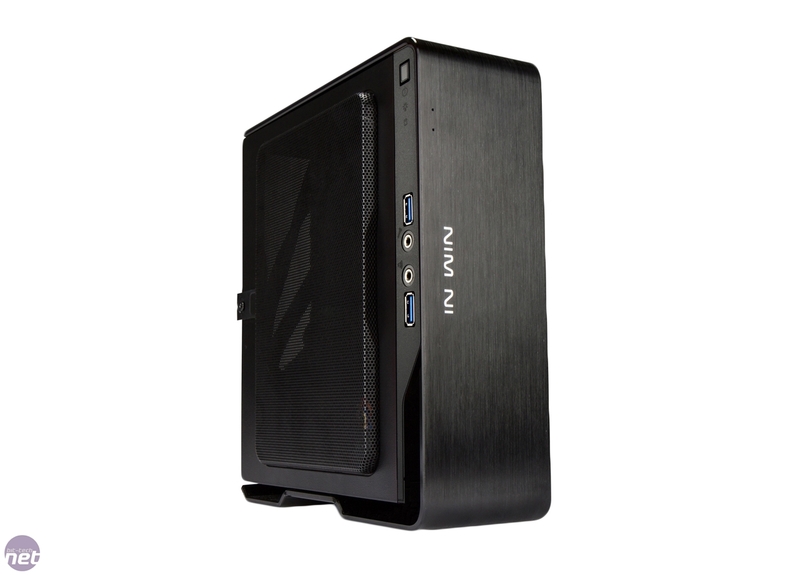 Externally, there are two USB 3 ports, the usual audio minijacks plus a power button - it's all fairly minimalist. 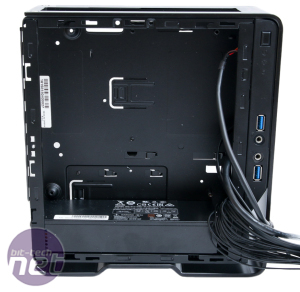 Internally, building a PC into the case is relatively straightforward, although you'd be well-advised to pass the necessary cables through the small holes in the motherboard tray to the 2.5in drives first, then mount the motherboard. There's a small amount of space next to the memory slots for tucking cables, but you want to keep the top of the case as clear as possible as it's where the main exhaust vent is. 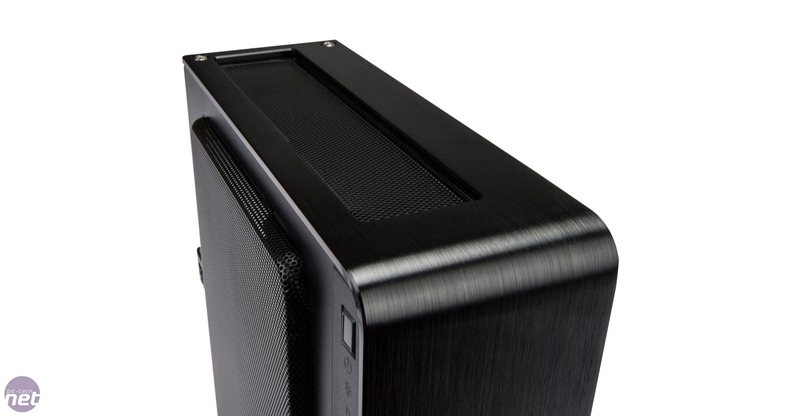 There are no cooling fans and the case relies on the lateral exhaust airflow of the CPU cooler plus the fact that heat will rise in the case, to expel hot air out the top, although we'd imagine a fair amount would also spill out of the side vent too, whether you mount the case upright or on its side. That said, the case does sport rubber feet on one side so it's primarily designed to stand upright. We take a look at one of the new teeny tiny mini-STX boards to hit the market. 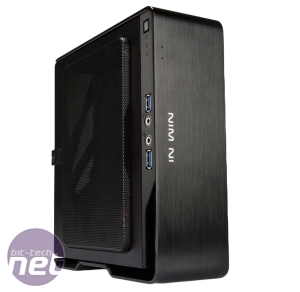 Smaller than mini-ITX, with dimensions of 5in x 5in, mini-STX offers USB 3.0 and M.2. 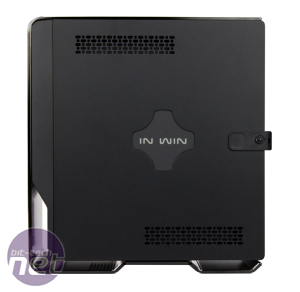 In Win has launched two new PSUs as part of its Classic Series 80 Plus Platinum range.